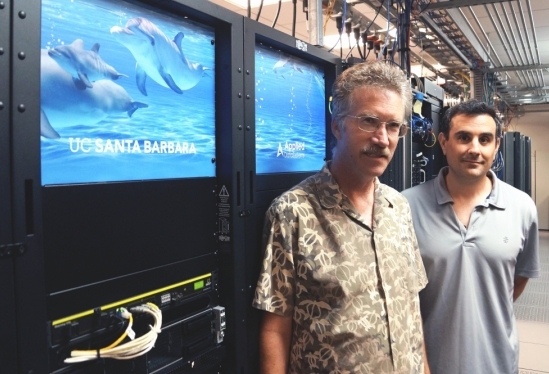 Researchers at UC Santa Barbara now have 300 teraFLOPs of computing power at their fingertips, thanks to the recent installation of the campus’s new computing cluster. Named Pod, the $1.1 million high-performance computing (HPC) cluster is hosted by the campus’s Center for Scientific Computing (CSC) at the California NanoSystems Institute (CNSI) and Materials Research Laboratory (MRL), and is available for scientific and engineering research to any UCSB researcher who needs it. It replaces Knot, the 12-teraFLOP cluster that was installed about seven years ago. 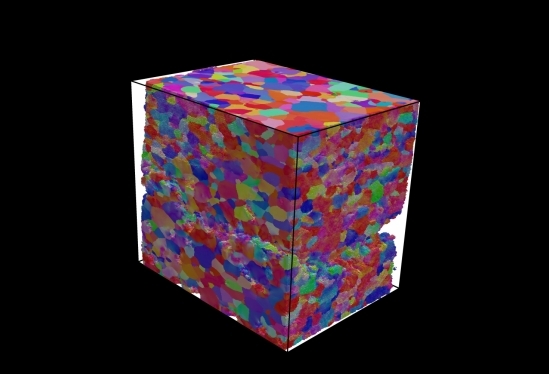 In addition to vastly improved computational ability, the new system features modern graphics processing units to meet the emerging research needs of technology in the fields of machine learning and artificial intelligence. 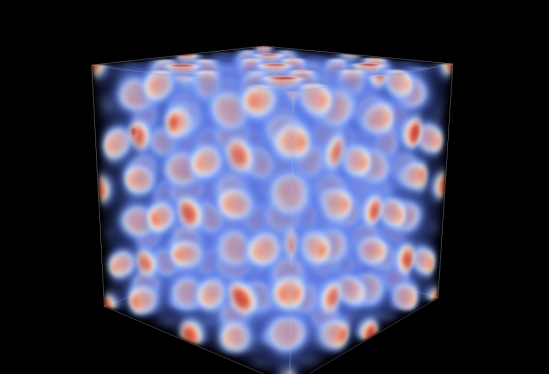 While engineering, chemistry and physics researchers remain among the top users of the CSC-hosted computing cluster, those from disciplines not typically associated with intensive computation also now require processing power they can’t get from conventional workstations and desktop machines, Weakliem said. “Certainly, we’ve seen more bio people needing more computation power,” he noted. “There’s an increased number of young faculty who, in addition to their experimental work, are doing a lot more computational work than what you might consider traditional for biology.” And there’s a great deal of computation being done in other fields at UCSB, too, such as earth science and psychology. Meanwhile, researchers in the multidisciplinary and burgeoning field of data science at UC Santa Barbara will no doubt welcome the new system’s ability to crunch the enormous amount of information that is integral to that pursuit. Though now considered somewhat obsolete, the previous computing cluster was no slouch and is still being used for teaching and less computationally intensive tasks. Thanks to Knot, UCSB users have published close to 500 papers, projected economic forecasts, developed novel materials, envisioned a world with fewer regrettable chemicals, designed climate models for the African and Antartic continents, and started a few companies. Roughly 27 departments and organized research units on the UCSB campus use the CSC’s shared computing clusters. The new computing cluster culminates two years of effort by CSC, which is composed of staff from CNSI, MRL and Enterprise Technology Services. The majority of the funding for the system came from a National Science Foundation grant awarded to Frank Brown (Chemistry & Biochemistry), Glenn Fredrickson (Chemical Engineering), Carlos Garcia-Cervera (Mathematics), Frederic Gibou (Mechanical Engineering) and Chris Van de Walle (Materials), with the rest from a UCSB cost-sharing agreement.